The Elite Force M4 CFRs from their competition series lineup has always been a favorite here at Fox. We highly recommend it as a great beginner gun because this gun is built much stronger and performs better than any other beginner guns out there. With our Starter Kit we offer you the basic necessities to get you rolling on using your new M4 CFR. 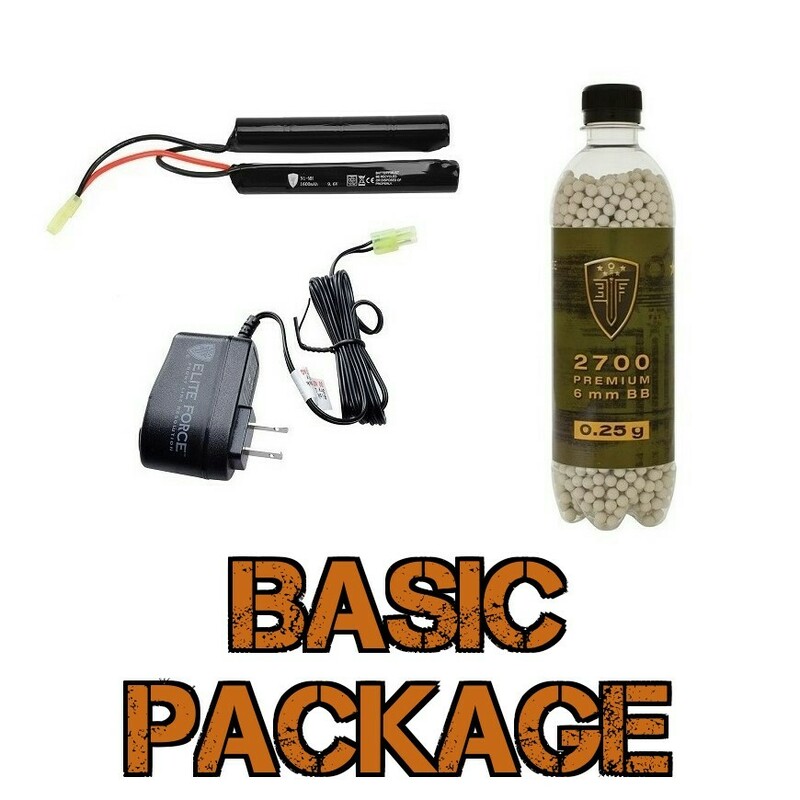 The basic package gets you exactly what you need to power and shoot your gun. 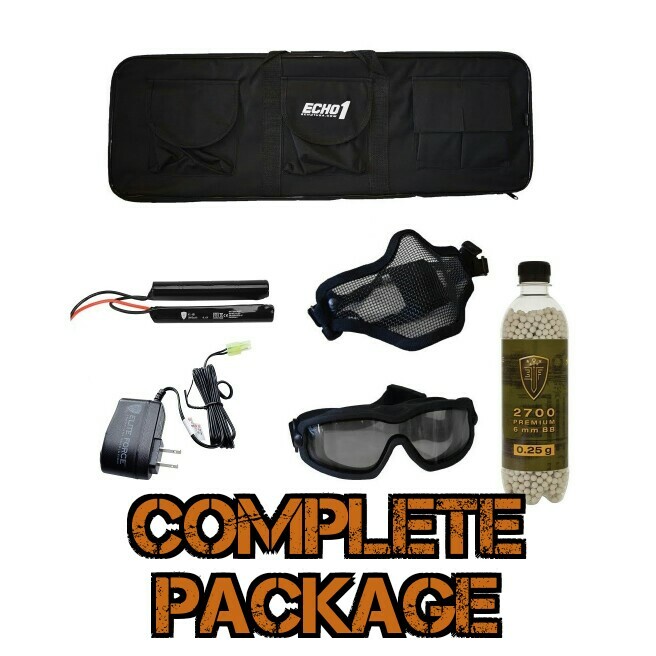 The complete package adds to that by giving you the basic safety gear required to play at most airsoft fields. Check with your field to verify full gear requirements. This gun comes with a metal 300-round high capacity magazine and some fixed sights that can be removed. Fox Airsoft offers a 30 day warranty and refund policy which you can read more about here. The Manufacturer also offers a 60 day warranty for the rifle.